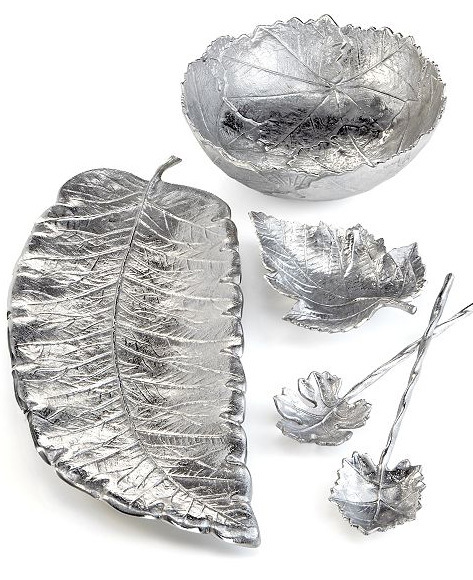 Luster and shimmer on a holiday table make the dining experience all the more festive and I am so enamored with these shiny, leaf-themed serving platters, plates and bowls from the Martha Stewart Collection at Macy's. 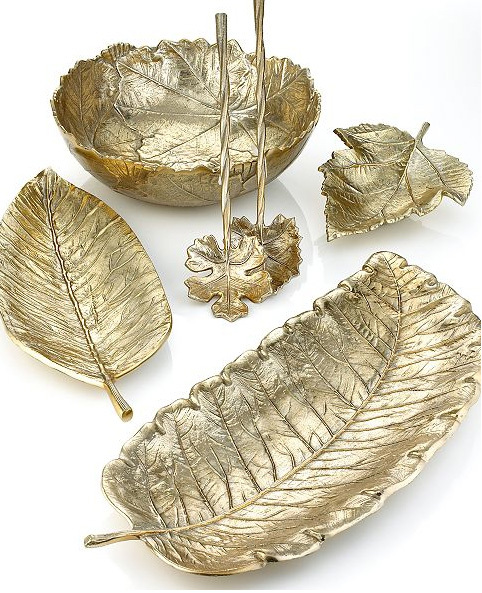 They would be perfect for a woodland-themed holiday table, or as whimsical accents to a more traditional theme. There are two primary collections: the Park Leaves line and the Park Flowers line; the former is available in gold as well as silver. 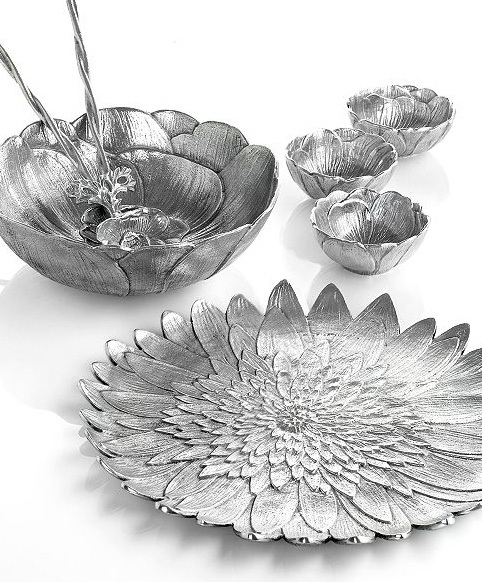 The pieces are cast from aluminum (the gold set is lacquered) and are highly polished for a lustrous shine. They are food-safe but are not dishwasher safe and should be washed by hand or with a damp cloth. Below is a gallery of some of the pieces I covet, and with shipping now available to Canadians, some of these are well within reach! Included here is a serving platter, a salad bowl a snack bowl and serving spoons. The items are sold separately but are available in gold or silver. The Park Flowers line is limited only to a few pieces but they are just as stunning. 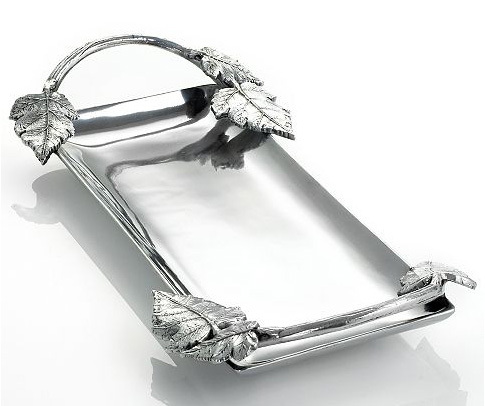 I love the elegant shape of this Park Leaves serving tray. Sleek, shiny and bright. 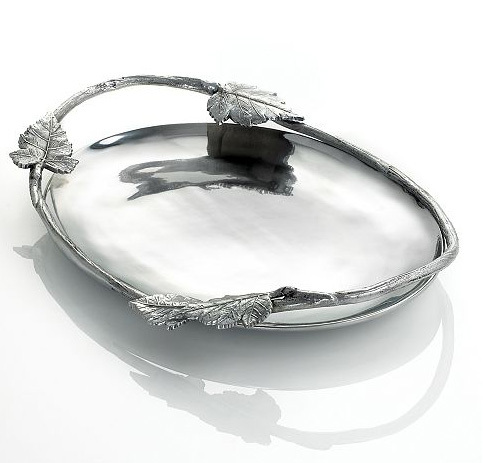 Just imagine how gorgeous it would look with few rows of perfectly made hors d'oeuvres. 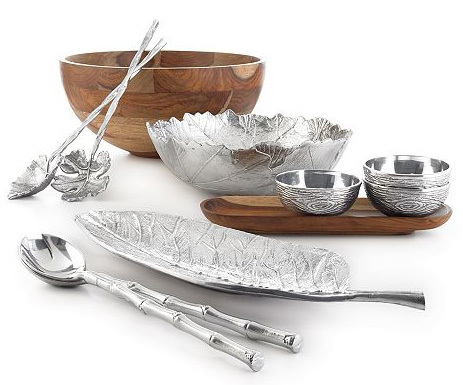 Martha's new wood serveware sets blend beautifully with the Park Leaves collection. 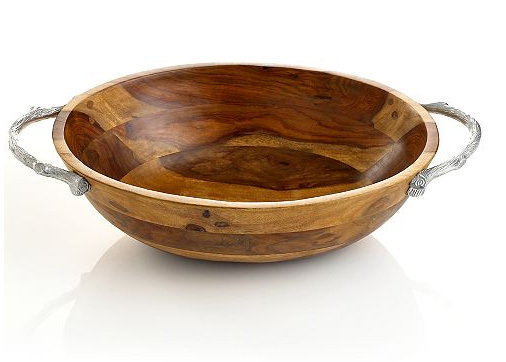 Silver handles elevate the wood pieces to a new level of sophistication. here the link to the article .. Watched the clip of Martha on ay Leno it was funny. She can be charming. Oh that reminds me No. 19th is World Toilet day. honestly. it is a topic of epic global importance. Alan, yes, I read the article online this morning. It's very nice. Martha definitely matters. This blog is a testament to that! Thanks, Natalie! Good to be back. Thank you for reading!